Have a junk car and looking for a buyer, Cash For Junk Cars Chicago will buy it at a high price than usual. 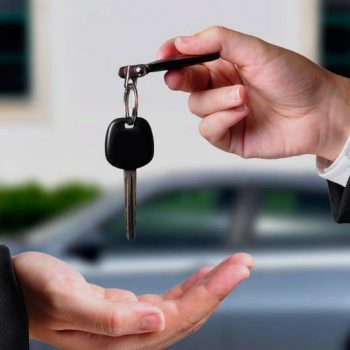 Tell us about your car, truck or SUV whichever you want to sell over the phone, we’ll give you a quote for it and you can schedule a convenient pickup time. We pay you in cash on the spot, once our tower will arrive after exchanging all the required documents we will pay you. We are always friendly and respectable. It’s 2019 and we are in this business from decades and serving all over the Chicago, our principle is transparency and quality service, we strive to pay the max amount for all the junk cars. We brought you an easy way of selling your junk car in Chicago. In Chicago Illinois, it was very hard to sell a junk car in old days. You need to find a junkyard in local classified, newspapers and need to hire a tower. Then, making required documents for selling. So it was a lengthy process which causes a lot of money and your valuable time. Here wikihow has briefly explained about how to get cash for your junk car with images, check it to get more details of junking your clunker. Our user-friendly website will guide you in everything required to junk your car. But now it is very simple to sell your junk cars Chicago. We’ll do everything for you from finding a junkyard to towing your car and we pay cash on the spot. All you’ve to do is follow the below steps to sell your junk auto. Our towing team will come to your property to pick up the car. Get paid in cash on the spot. We Buy Junk Cars, Trucks, Vans, & SUV in the Chicago, IL. We understand your need and what you’re looking for. If you’re looking for max cash for your junk car then you’re at the right place. We offer competitive prices in the market than others. Fill our online form or call us at 708 663 1010 to get an instant offer. tell us which car it is and it’s make, model and year. We’ll get back to you in an hour with a free quote. Selling your junk car wasn’t easy before but now you came to correct place. All you need is a car with the title. If you don’t have a title, no problem we will buy it. We buy all types of cars like old cars, wrecked cars, scrap cars, junk cars, wrecked automobiles etc. Cash For Junk Cars Chicago gives you the best price in the market. Besides this, we use an ECO-friendly procedure to recycle your car. A lot of junk car buyers Chicago use terms and conditions in the given quote. They hide the minor charges. like, paper making fees, administration fees and towing cost. Due to these minor charges, you’ll not get the most profit from your vehicle. We don’t have any types of hidden costs, what we give in the quote is final and we always provide a free tow. It is preferable but not a rule to sell your wrecked car. We accept other proofs of ownership also. While getting a quote from our junk car operator on phone ask about the required documents. They’ll guide you in this further. Things you’ve to do before selling your junk car. Check your car and its contents. Remove all your belongings which you’ve left in the car. Check the glove box, the floor and underneath the car seats, finally in a trunk. Remove your sound system if it is worthful to you. what would you expect from your old junk car? It can buy you some new stuff for your use. rather than wasting your garage place by an old junk car, sell it. we buy your junk autos and will pay you the top dollar for your clunker. give us a call now! hurry up. sell your crap and get some easy money form it. At ‘CASH FOR YOUR JUNK CARS CHICAGO’ we provide a free tow service which will pick up your wrecked car from your property in a single day. Yes, a title is needed, but not a requirement. It will make the ownership transfer process much easier. Without one the process will take longer and it reduces the offer also. No! The service is absolutely free. You will not be charged for anything. In fact, Cash For Junk Cars Chicago will pay you to remove your car. How do I get an offer for my car? You can fill out the Get an Offer form online or contact us directly by calling our number +1 708 663 1010. Really very happy what you're paying for my car. I never got an offer like this from other junk car buyers. Very quick and fast, in a day they came to my house and removed my junk vehicle with a free tow. I will say these guys are best car junkers in Chicago best at their service. they paid top dollar for my car on the spot. Cash For Junk Cars Chicago is a leader in junk car removal in chicago. We pay top dollar for your junk car. We provide easy junk car removal service across the Illinois.